The last lazy, hazy days of summer are perhaps not the best time to be worrying about what is coming down the economic road, but unfortunately we are left with no choice. 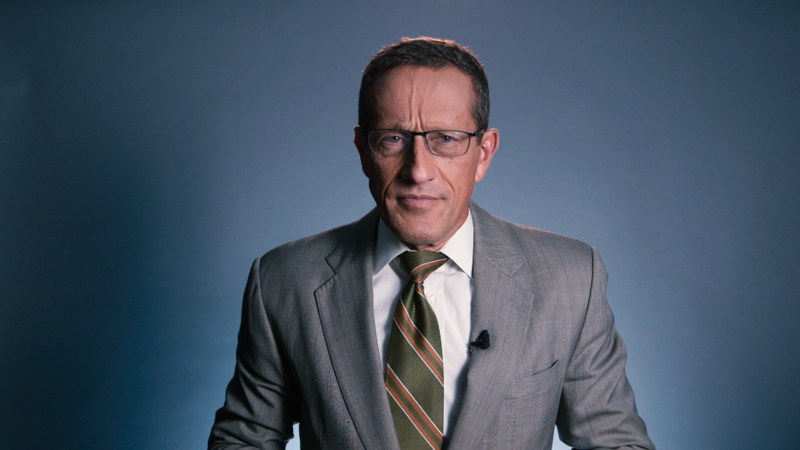 Top central bankers are gathering in Wyoming for the Jackson Hole economic symposium, where major policy decisions are sometimes announced. Meanwhile, President Trump's comment that he is prepared to shut down the government to get Congress to pay for his Mexican border wall rattled nerves. On top of that is the upcoming battle over raising the $19 trillion debt ceiling for the U.S. federal government to continue borrowing to pay its bills. Failure to raise the ceiling means U.S. government bills don't get paid on time and in full. The arguments are as old as the debt ceiling itself: Any scintilla of suggestion that the U.S. government would default on its debt, even for a nanosecond, would roil the Treasury markets royally. It would be calamitous. We don't know yet how Congress will handle debt ceiling legislation. The one thing we know for certain: The debt ceiling must be raised or disaster will ensue. Make the most of the summer days. Who knows what's next? Is it a real threat or just a negotiating tactic? That's the question hanging over NAFTA negotiations between the United States, Canada and Mexico. 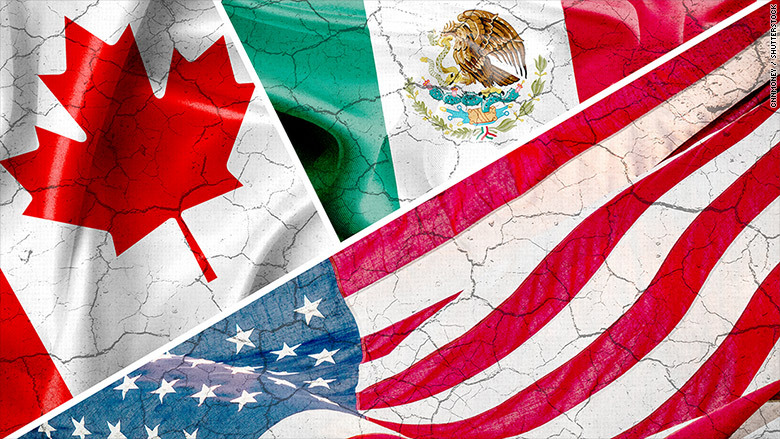 On Tuesday, President Trump opined that "we'll probably end up terminating NAFTA at some point." Round 1 of negotiations finished on Sunday and the next round start September 1 in Mexico City. Mexican officials dismissed Trump's tough talk as a negotiating strategy. One trade expert said it was Trump's way of playing "bad cop" and letting his top trade negotiator play "good cop." Talks are expected to go until at least December. 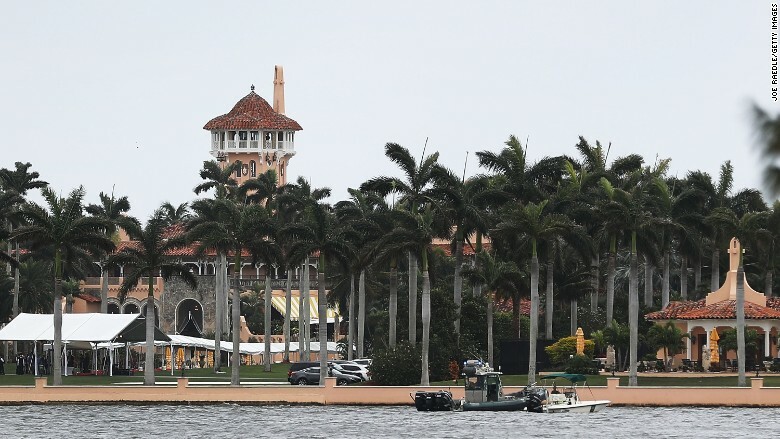 Two more foundations that were slated to hold fundraising events at President Trump's Mar-a-Lago club have decided to take their business elsewhere. A total of 15 organizations have canceled events at the Palm Beach venue since the president remarked that violence at a rally of white supremacists in Charlottesville, Virginia, should be blamed on "many sides." But the Trump Organization isn't the only one dealing with fallout. One group says it isn't able to reschedule its luncheon and faces a "devastating" $160,000 budget shortfall as a result. 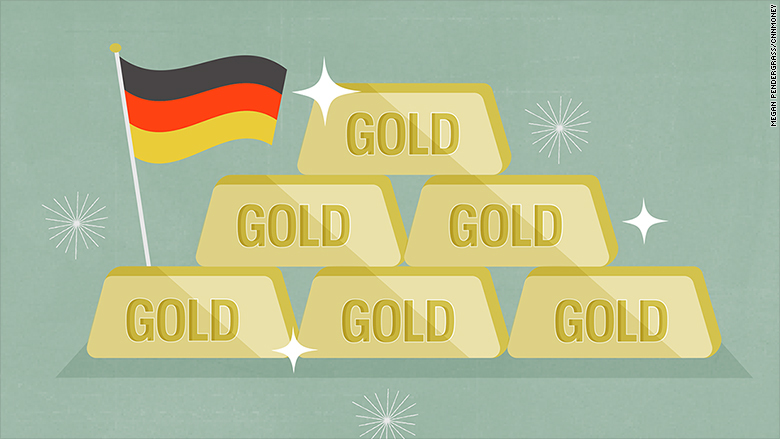 Germany used to fear the former Soviet Union would take its gold. But the Cold War is over. Germany also has fewer reasons to worry about international currency fluctuations since it, like many other nations, uses the euro instead of a national currency. Those are key reasons why Germany's Bundesbank has completed a plan to return much of the gold it had stored in New York and Paris to Frankfurt. 743 tons in fact. And the Bundesbank said it's all accounted for. The U.S.-China auto interest works in reverse, too. Chinese auto maker Great Wall Motors is interested in buying Fiat Chrysler, a deal that would give it instant access to the coveted Jeep brand as well as the massive American car market. China is trying to fix its pollution problem by pushing electric cars. Sensing an opening to crack the world's largest auto market, Ford is planning a new Chinese brand that specializes in all-electric vehicles. Electric is already taking off in China, where 40% of the world's electric cars are sold. Yellen's future: It's the big elephant in the room at the Jackson Hole Symposium in Wyoming. Federal Reserve Chair Janet Yellen will give a speech Friday on financial stability. But everyone is really wondering if Yellen will remain at the Fed for a second term. Her fate remains undecided by President Trump -- and it's unclear if Yellen even wants to stay for another four years. France's comeback under Macron: France's economy may finally be turning the corner towards stronger growth after years of stagnation. New revisions on France's second quarter GDP come out Tuesday. India's growth going back into high gear? India's second quarter GDP publishes next Thursday. Economists forecast growth in the second quarter rose to a stellar 7.1% after a sluggish 6.1% in the first quarter. Brazil's long road to recovery: The country remains mired in an anemic recovery from its longest recession in history, which partly stemmed from a massive corruption scandal. Brazil's unemployment rate and GDP for the second quarter publish next week.